Craving a pumpkin spice-flavored beverage? Pass up the coffee house and prepare your own drinks at home, like our Pumpkin Spice Hot Chocolate. 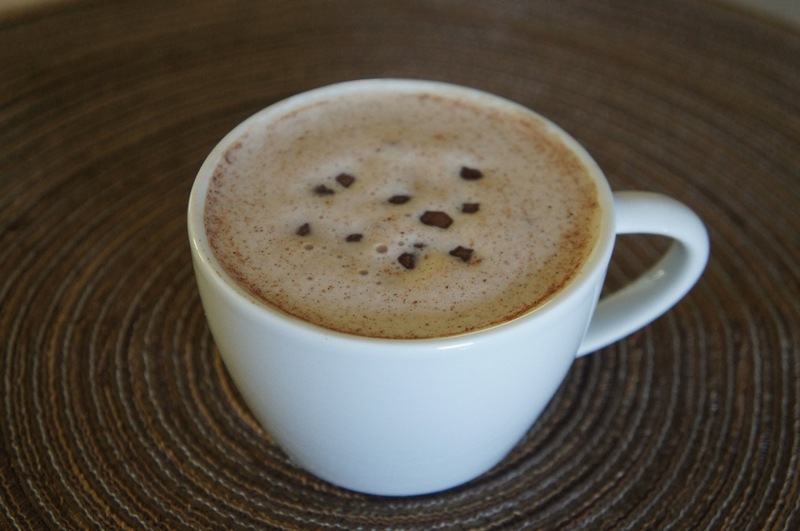 This velvety hot chocolate drink has the perfect amount of spice and is ideal for a cool fall night. Place the heating disk in your Capresso froth PLUS and ensure it is securely snapped inside the bottom of the frothing pitcher. Add milk to the frothing pitcher and press the Hot button. After 2 minutes, add chocolate syrup. Wait for the frother to automatically shut off. Place pumpkin spice in a cup and pour the hot milk over the pumpkin spice while stirring. Stir until pumpkin spice is blended and top with chocolate chunks.